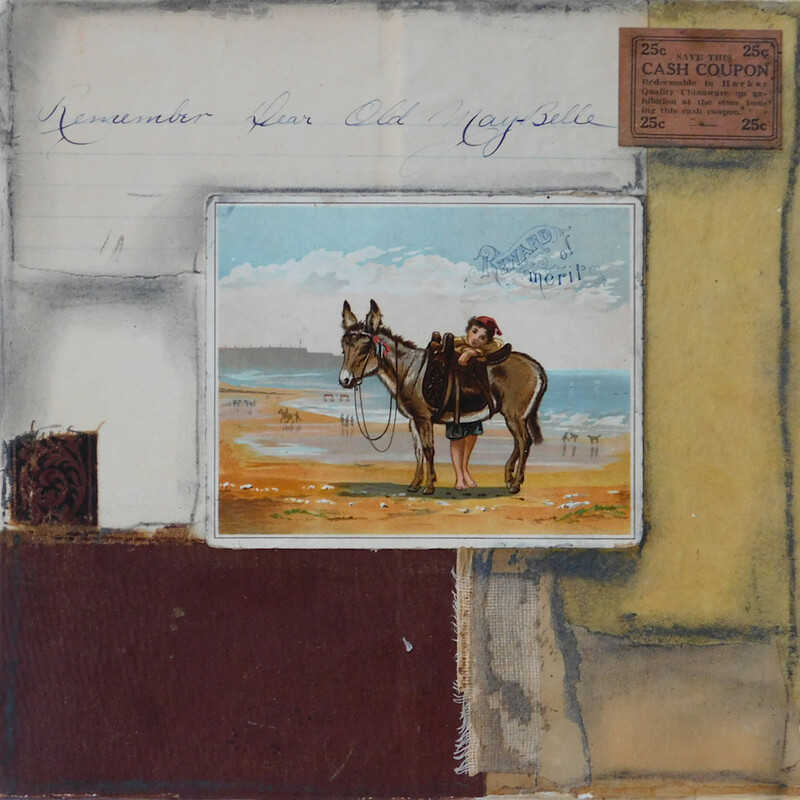 This Collage was created using vintage papers and ephemera. There's an old postcard, penmanship homework, a book cover and spine, an old coupon, and other old papers. Custom commissions gladly accepted using your own memorabilia. Contact me for details! Remembering Maybelle. Was she a friend? Or the donkey?